One of the Digital Market Strategy's pillars is to ensure better access for consumers and businesses to online goods and services across Europe. E-commerce is growing, but its full potential remains untapped both for businesses and consumers in Europe: only 12% of EU retailers sell online to consumers in other EU countries, while three times as many (37%) do so within their own country. Similarly, only 15% of consumers purchase online from another EU country, while roughly three times as many (44%) do so from their own country. The Commission today adopted two proposals: one on the supply of digital content (e.g. streaming music) and one on the online sale of goods (e.g. buying clothes online). The two proposals will tackle the main obstacles to cross-border e-commerce in the EU: legal fragmentation in the area of consumer contract law and resulting high costs for businesses – especially SMEs- and low consumer trust when buying online from another country. Removing barriers due to contract law differences should bring an overall benefit to the European economy. Over 122,000 EU businesses are expected to start selling to consumers in other Member States; and the total number of consumers buying online from other EU countries could reach up to 70 million. This will open up new markets, especially for small and medium-sized enterprises (SMEs), increase competition and contribute to economic growth: lower consumer prices are expected to boost consumption in the EU by €18 billion and EU GDP is expected to increase by €4 billion from its current level. Reversal of the burden of proof: For instance, if an Italian consumer discovers today that a product he/she purchased online more than 6 months ago is defective and asks the seller to repair or replace it, he/she may be asked to prove that this defect existed at the time of delivery. Under the proposed new rules, throughout the two-year guarantee period, the consumer will be able to ask for a remedy without having to prove that the defect existed at the time of delivery. Clear and specific rights for digital content: For instance, a consumer who downloads a game which is then not working properly may currently receive as compensation only a discount on downloading other games in the future. With the proposed directive, consumers will be able to request such problems to be fixed and, if this is not feasible or not done properly, to obtain a price reduction or terminate the contract and be fully reimbursed. Legal certainty and a business-friendly environment: Today businesses need to spend time and money to adapt to contract law rules in Member States they sell to. Under the proposed rules, businesses will no longer need to deal with this fragmentation: they will be able to supply digital content or sell goods to consumers in all Member States based on the same set of key contract law rules. Cost savings for businesses: Businesses now face an additional one-off cost of €9,000 to adapt to the national contract law of each new Member State they wish to sell to. With the new EU-wide rules, a business could save up to €243,000 if it wishes to sell to all 27 other EU countries. 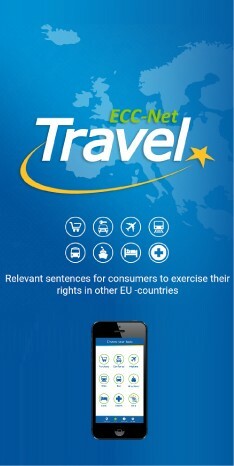 For details and links see the website of the European Commission.